For over 30 years Alice has been a grassroots trailblazer in independent music. Bucking the advances of record labels early in her career--she has self-released 14 albums on her Alice Otter Music label including 2018's "One With the Tide". DiMicele has stayed true to herself and her mission: to create music that connects people and inspires them to take a stand for the earth and for justice in the world. Her activism informs her music and her music informs her activism. 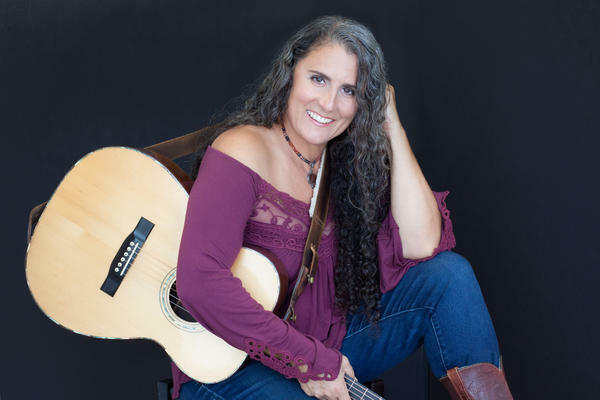 Alice has played at many festivals including Strawberry Music Festival, Kate Wolf Music Festival, High Sierra Music Festival, Joshua Tree Music Festivals, Oregon Country Fair, and many, many more. She's shared stages with some of music's finest including some of her musical heroes like Bonnie Raitt, Joan Baez, JJ Cale, David Grisman Quintet, Steve Winwood, Ferron, Peter Rowan, Richie Havens, Bob Weir, Mickey Hart, and the list goes on. Bonnie Raitt said, "Alice's music has that great combination of earthiness and groove that keeps it funky from the inside out. She's for real."